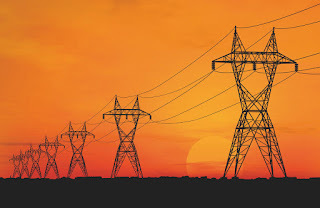 A short transmission line is one in which the line voltage is comparatively low (< 20kV) and the length of an overhead transmission line is upto about 50km. Due to smaller length and lower voltages the capacitance effects are small and hence can be neglected. Hence, whenever studying the performance of a short tranmssion line only resistance and inductance of the line are taken into consideration. The transmission line having length of an overhead transmission line in the range 50-150 km and the line voltage is moderately high (> 20 kV < 100kV) is considered as a medium transmission line. Since the line is having sufficient length and line voltage, the capacitance effects are taken into consideration. For the puropose of calcuklations, the distributed capacitance of the line is divided and lumped in the form of condensers shunted across the line at one or more points. When the length of an overhead line is more than 150 km and the line voltage is very high (>100 kV), it is considered as long transmission line. For the treatment of such line, the line constants are considered uniformly distributed over the whole length of the line and rigorous methods are employed for solution.